Transfer to the lodge. After coffee and cake, we take a game drive with a sundowner (if time allows). Overnight in a lodge near the airport. Drive to our accommodation. Here we are treated with the best service and food. Farm Tour at sunset. Lodge at Gamsberg Pass. In Solitaire, we can taste the legendary apple pie. 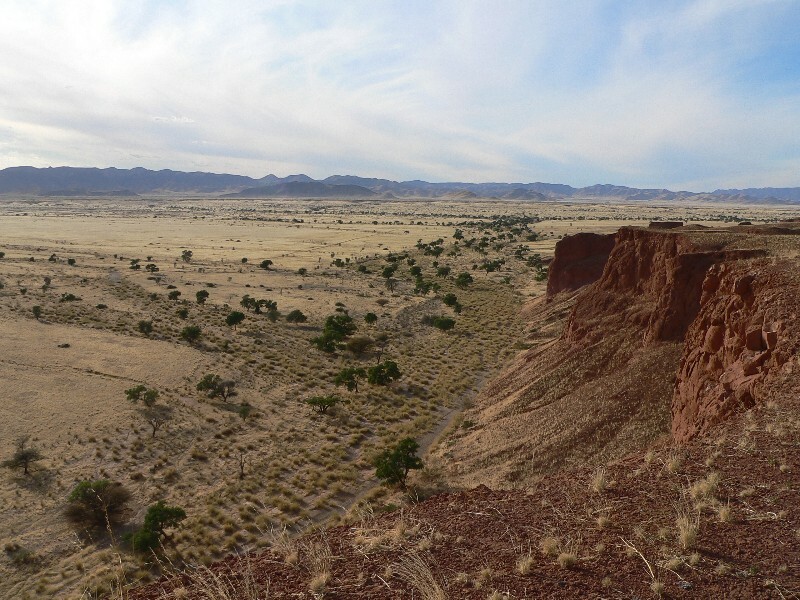 From today's Lodge we have a view of the sand dunes to the west and the Naukluft Mountains in the east. Visit the Sesriem Canyon. Lodge near the park entrance. 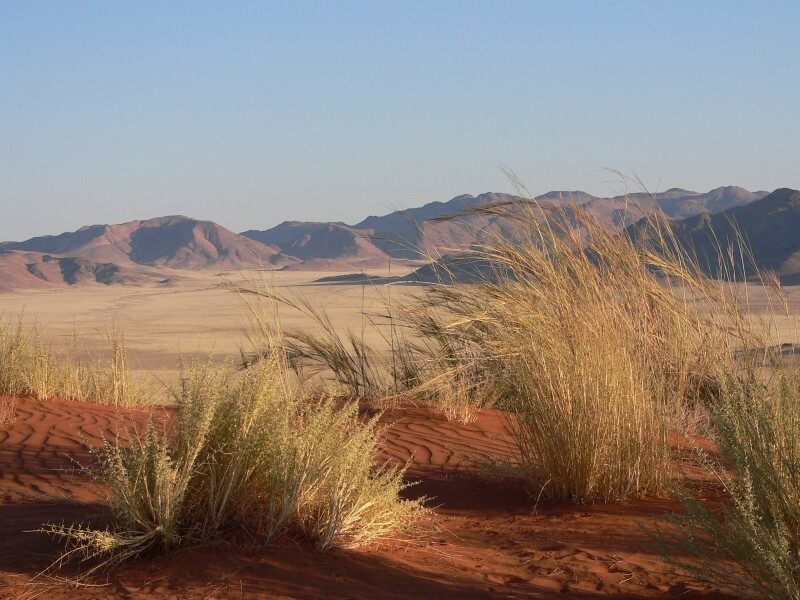 In the morning we drive to the dunes of Sossusvlei. We visit the Dead Vlei with the dead camel thorn trees. Opportunity to climb the highest dune in the world. 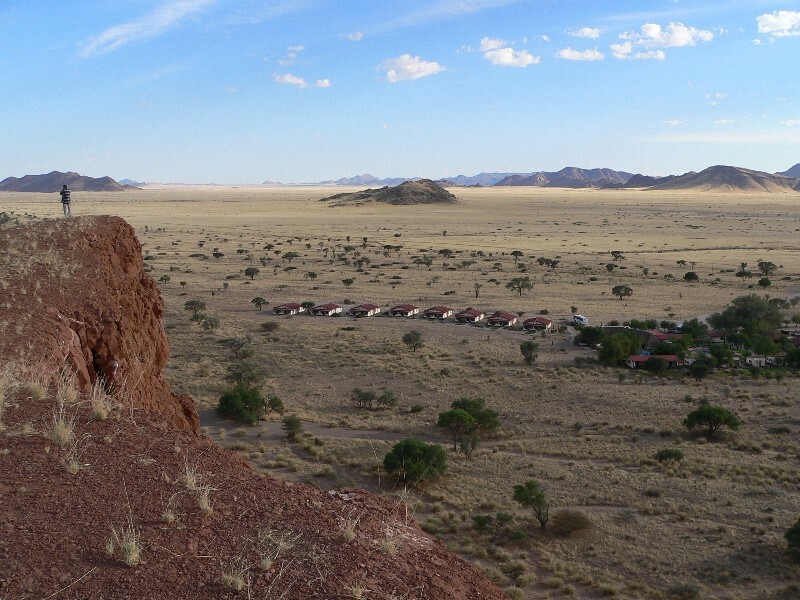 Lodge in the Namib desert with stunning views. 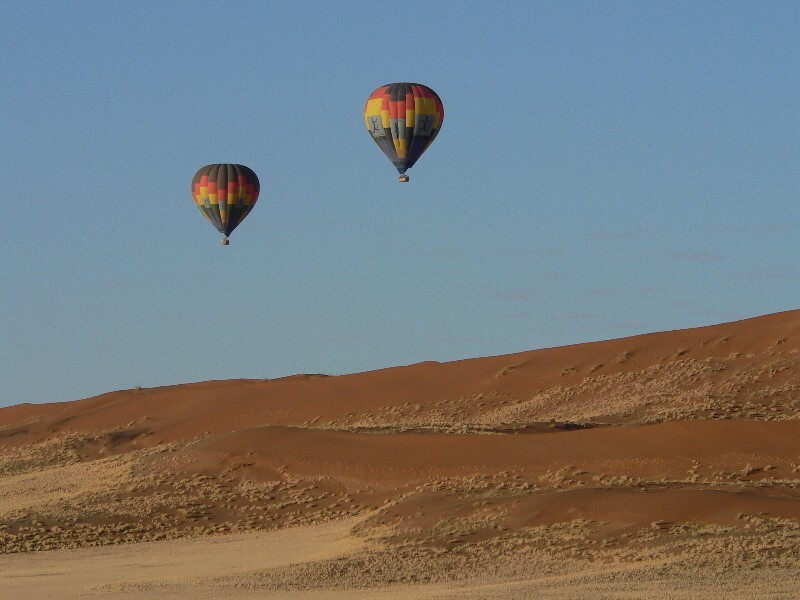 Along the sandy sea over the plains of the Namib we drive to the cozy coastal town of Swakopmund. Overnight in the centre, near the sea. In the morning we may go on an interesting boat trip in the lagoon of Walvis Bay (to see seals, dolphins, flamingos, pelicans). The afternoon will be spent at our leisure. Overnight in the centre of town, near the sea. Opportunity for a walk to the bushman paintings. The farm is home to a Bushman tribe and we may book a trip to the "Living Museum". Lodge nestled in the Erongo Mountains between bizarre rock formations. We arrive at Etosha, a park of more than 24,000 km2 where we will encounter many animals, such as elephants, rhinos and lions. On our game drive we visit several waterholes and drive over open areas in the hope to see rare and special animals. Night observation of wild animals at the floodlit waterhole. Camp Okaukuejo Waterhole. Game drives in the park on the many small streets. We drive to the edge of the Etosha Pan and visit various waterholes. The early morning provides the best opportunities to see Leopards and Lions. Overnight at Camp Halali. Once again, we take game drives in the park. We leave the park on this day and drive to our lodge near Namutoni. On the way to Rundu we see many kraals of the natives of the Kavango tribe. At sunset we take a boat trip on the Okavango. Lodge right by the river. Drive to our accommodation near Mahangopark where we may enjoy a game drive. Lodge on the Okavango where sometimes at night the hippos come out of the water to graze. Drive to the Kwando where we rest at the Lodge in the afternoon and take a boat trip. 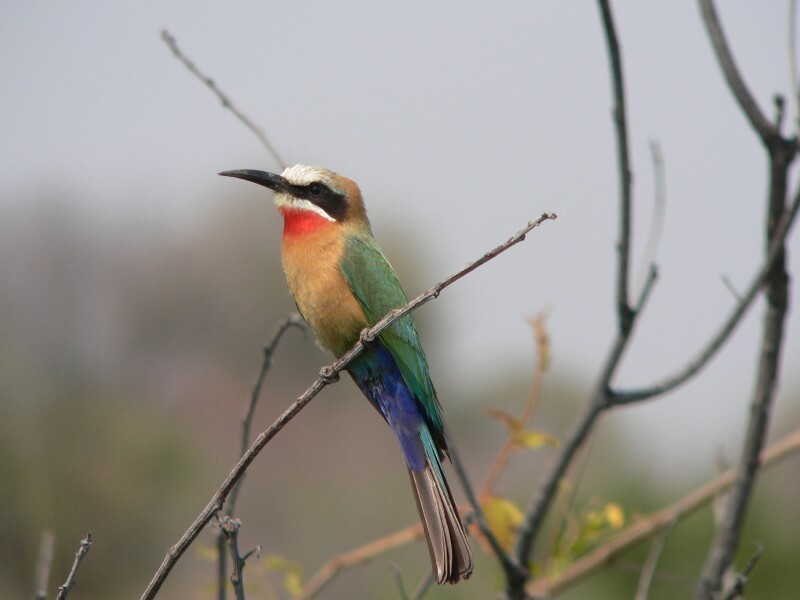 It's a paradise for birds, waterbuck, hippos and elephants. Lodge on the Kwando River. Game drive in the National Park Bwabwata: many elephants, hippos and crocodiles. Lodge on the Kwando River. Drive to Katima Mulilo where you leave the tour guide. Organised transfer to Kasane in Botswana and boat transfer to the island Impalila where we spend 2 nights on the banks of the Chobe opposite one of the most famous parks in Africa. 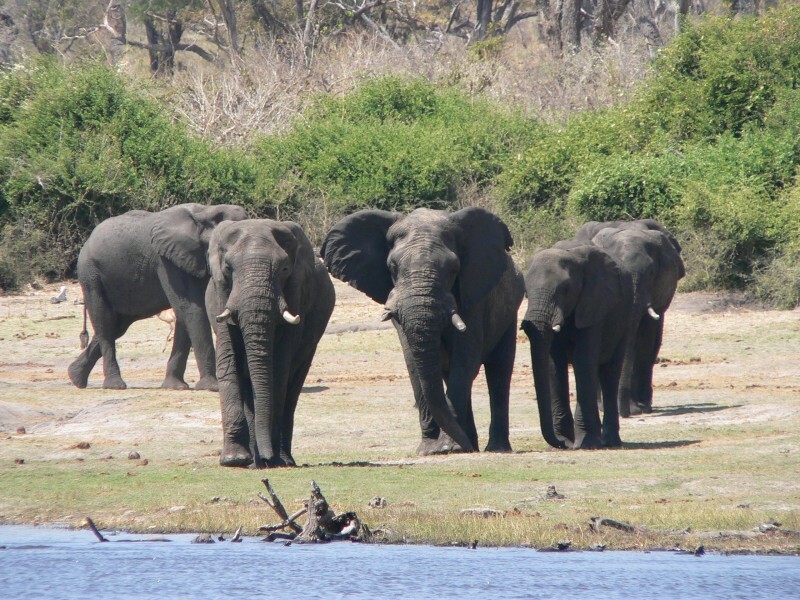 We enjoy the magnificent view of the surrounding marshland and the river banks of the Chobe parks where sometimes hundreds of elephants and other animals congregate. On our cruises we will approach within a few meters to the animals and birds. Lodge on Impalila Island. Transfer to the world famous waterfalls, where huge masses of water with a width of 1700m plunge over a 110 m sloping rock face. The Lodge is located directly on the banks of the Zambezi, above the mighty Falls. Depending on your departure time, we still have the opportunity in the morning for various activities such as river rafting, a boat ride or a scenic flight (optional).Transfer to the airport. Program may be changed according to your wishes.